Welcome to Wonderful Universe of Energy! 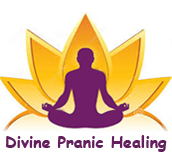 Pranic Healing in India - Thank you for visiting our Website. This Website has been designed to become a helpful resource tool to our valued clients and visitors. Today, multiple centers teach both Pranic Healing and Pranic Energy healing. Millions of references to this genre of Healing are seeing on the Internet. For many years, Pranic Healing or Pranic Energy Healing was secretly practiced and was shrouded in mystery. This is because during ancient times many people feared that Energy Technology using Vital Life Force or Subtle Energy - might be selfishly misdirected toward a practitioners own personal interests' or toward energetically "attacking" other people. Mrit Sanjeevani Vidhya is described as the sacred knowledge, based on Subtle Energy. This Vidhya was created by "Guru Shukracharya". Through it, even a dead person can be brought back to life. The old Indian saints and masters looked after this knowledge and transmitted the secret and the mystery only to trustworthy devotees. "The general Principles of Pranic Healing rest on the fact that Prana may be transferred or transmitted from one person to another, in many ways. The usual method and the most effective way, is to use the hands and make passes over the sick person, and at the same time directing a current of Prana to the affected part." The development of Modern Pranic Healing and Arhatic Yoga is basically credited to Master Choa Kok Sui. Being a chemical engineer and a successful businessman, he spent more than 30 years of his life doing research on the esoteric sciences and ancient healing techniques, experimenting and examining them to develop the concepts, principles, practical applications and techniques of Pranic Healing. Prana is a Sanskrit word literally meaning "life-force" - the invisible bio-energy or vital energy that keeps the body alive and maintains a state of good health. The Japanese call this subtle energy Ki, the Chinese Chi, while the Greeks refer to it as Pneuma. In Polynesian it is known as Mana, and in Hebrew, Ruah - meaning "Breath of Life"
Pranic Healing is a form of energy healing which makes use of Prana, or vital energy, in the treatment of a wide variety of ailments. Scientific evidence provides tangible proof of the existence of the energy body and its relation to the health and well-being of the physical body. Based on the scientific experiments conducted by the eminent Russian scientist, Semyon Kirlian, photographs taken of humans, animals and plants through an ultrasensitive camera process showed a colorful, radiant energy field surrounding the physical body. This energy field, or aura, interpenetrates the visible physical body, extending about 4 to 5 inches from the skin's surface. As an art and ancient science, Pranic Healing was widely practiced in ancient civilizations in China, Egypt and India. 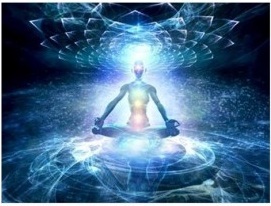 In Pranic Healing, cure is affected by simply removing diseased energies from the patient's invisible energy body and by transferring fresh vital energy (Prana) to the affected areas with the use of the hands. Using a scientific "No touch- No drug" methodology, Pranic Healing can prevent, alleviate, and heal a whole spectrum of physical, emotional, and mental ailments. Because the methods are simple and fairly easy to understand, anyone can learn and apply pranic healing. Simple physical disorders like headaches, toothaches, coughs, sore throats, fever, stomach aches, diarrhea, muscle pain, sprains, gout and minor burns. Severe ailments, tuberculosis, hypertension, heart problems, hepatitis, myomas, cysts, migraine, arthritis, and epilepsy. Emotional and mental disorders like stress, tension, anxiety, depression, phobias, manias, paranoia, schizophrenia, addiction and other related ailments. Weight loss, body sculpting, skin problems and pranic Facial. Pranic Healing is not intended to replace modern medicine. Rather, this ancient healing methodology is intended to complement conventional medical practices as well as other alternative healing methods.